How bout this bad boy? Thread: How bout this bad boy? Can you help me identify and date it? What is an estimated value? thx. ScoutHikerDad, Geezer, sharptonn and 7 others like this. But we can't give values on this forum. 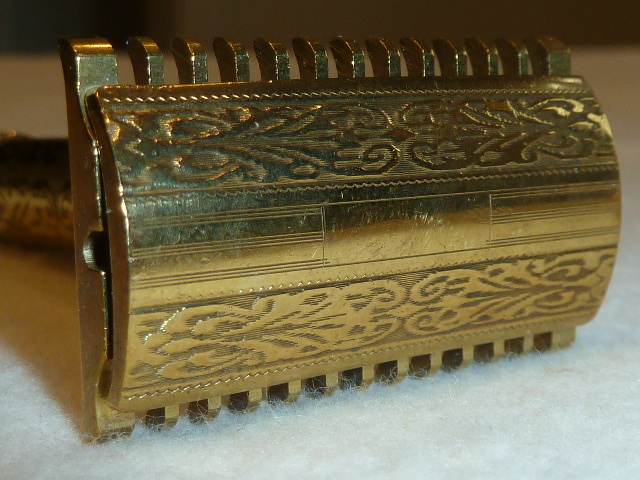 But u can check EBay, for what similar razors have sold for. I'm not in favor of DE'S, but that one sure is sweet. BobH, RezDog and Gasman like this. I bet originally that one sold for a lot more than the plain ones. Good luck finding any comparisons. It’s a beauty and would look good in my display case. BobH and MisterClean like this. Yep. Thats a beauty alright! DE razors are not a big thing around here being a straight razor forum but a few member use them. But as Outback said, we dont do valuations here. Its worth what you would pay for it. 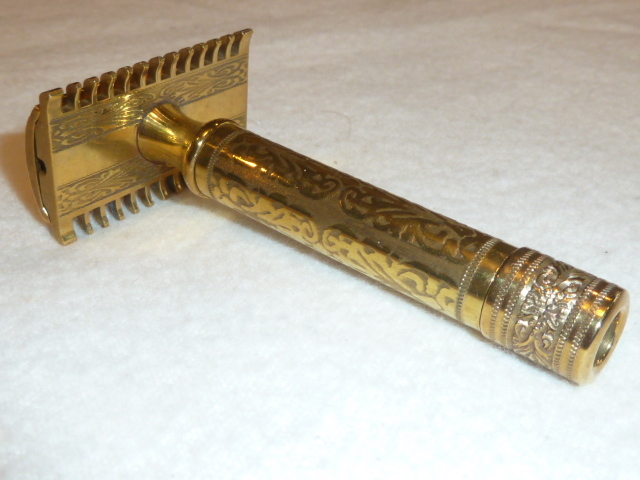 Now if you want to learn to use it we would be happy to help you learn to wet shave with a DE. 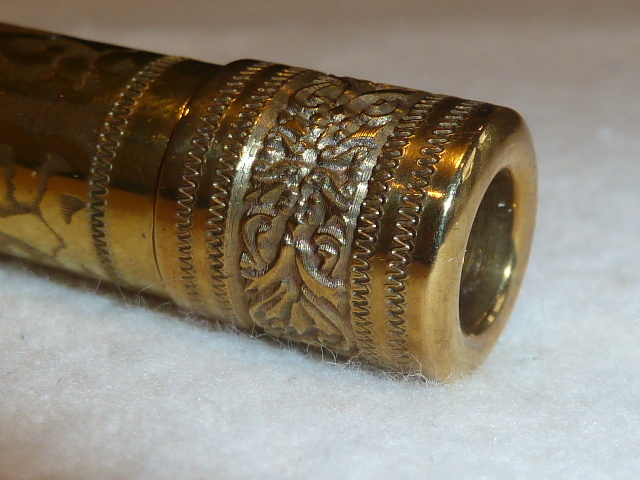 Any identifying marks under the top cap or on top of the base plate? Geezer, sharptonn, Euclid440 and 1 others like this. 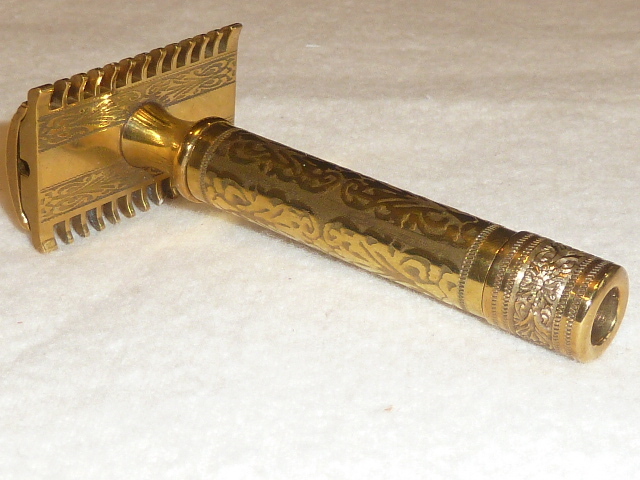 Take a look at the Gillette ABC (American Button Company) Pocket Edition razors. 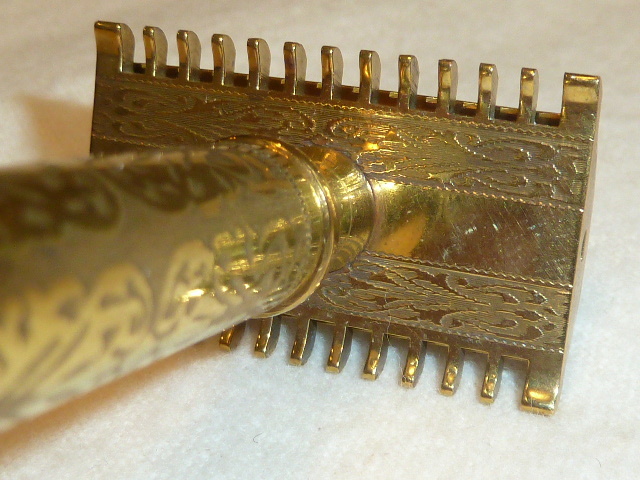 These razors were early Gillette 3-piece double edge, made for and by Gillette at their infancy, early 1900, pre-1920. 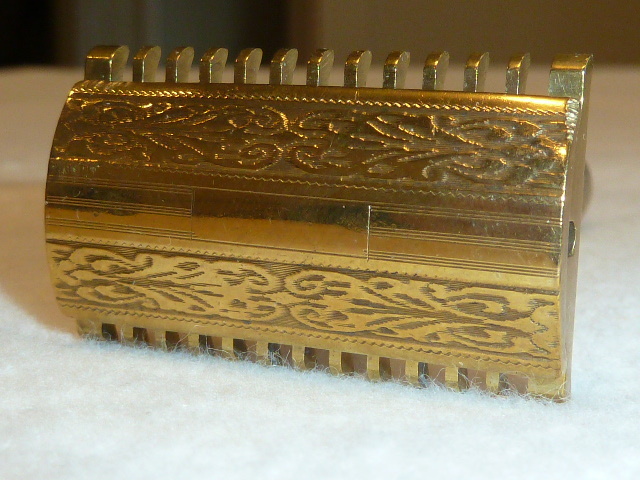 Most probably there were other makers, making similar razors. 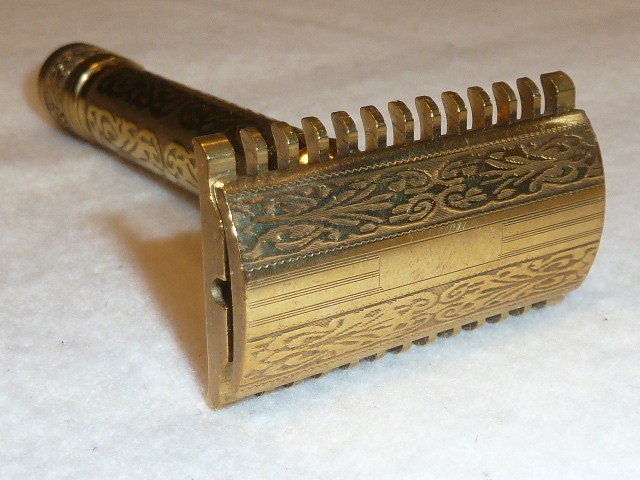 Yours looks more etched, than engraved, so probably a production razor. You may, as said, find some maker marks under the cap. 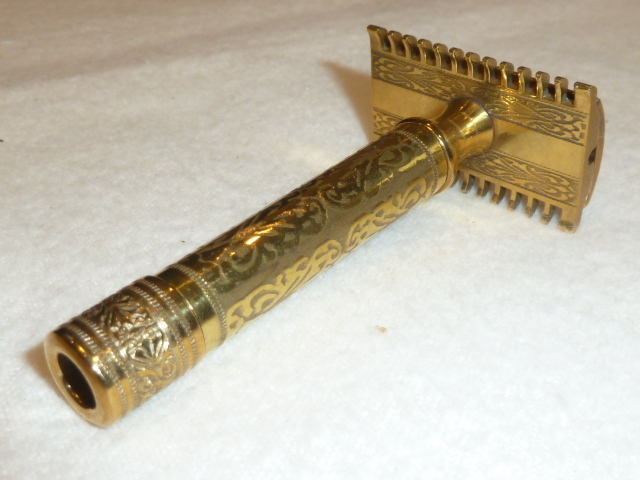 Or contact The Razor Emporium, they deal and have a collection of vintage double edge. They also may be able to give you an idea of price. We do not give razor value, simply because price is so subjective and can vary depending on condition and the motivation of the seller. Have you taken it apart? There may be info stamped on the inside. 22 cents, but then again it may have sold for a quarter.